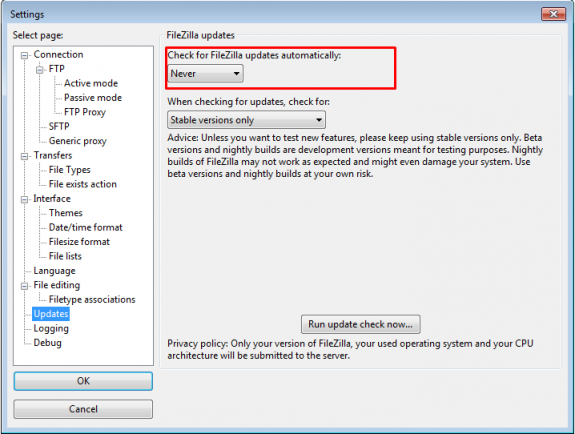 Home Windows Tips How to disable FileZilla update nag screen? 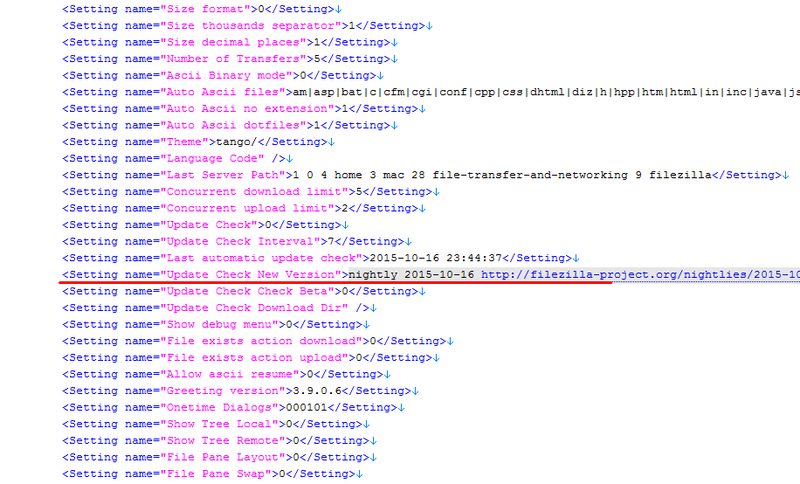 I use FileZilla a lot and I start it like ten times a day or even more. Every time it starts I get that screen that asks me to update FileZilla to latest version, but since I’m using portable version of it it’s almost impossible to do so since portable versions are often delayed etc. The same nag screen is there with the non-portable version of FileZilla and sometimes you simply don’t want to upgrade. Disabling updates in settings simply doesn’t work and will remind you that there is an update even if this is disabled every time you start it. 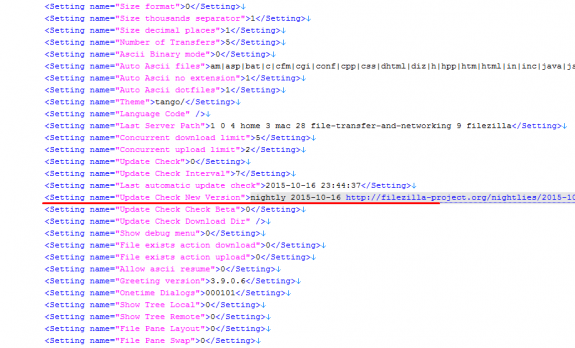 ..\appdata\roaming\filezilla\filezilla.xml or for portable version located at: ..\data\settings\filezilla.xml. and delete that entire line. Save the changes. And that’s it. Now you can use your FileZilla or FileZilla Portable without that update nag screen and you can choose whether you want to update it and when. Great! that’s very usefull. thanks!